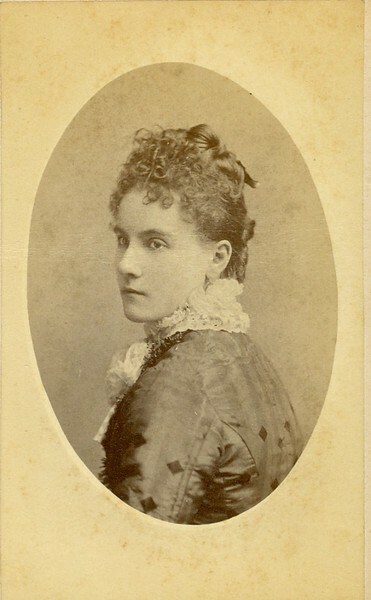 A studio portrait of an unidentified woman wearing a bodice/blouse in a stripe pattern with diamonds on it. She also has on a high white collar made out of lace. The image is from Simon photographers of New Orleans, Louisiana.